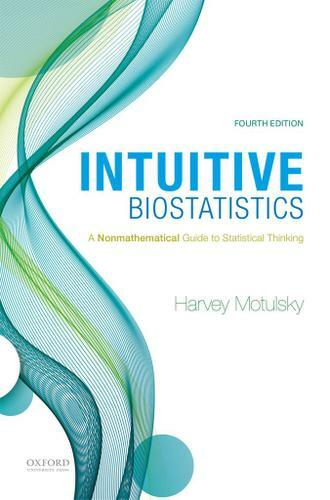 Intuitive Biostatistics takes a non-technical, non-quantitative approach to statistics and emphasizes interpretation of statistical results rather than the computational strategies for generating statistical data. This makes the text especially useful for those in health-science fields who have not taken a biostatistics course before. The text is also an excellent resource for professionals in labs, acting as a conceptually oriented and accessible biostatistics guide. With an engaging and conversational tone, Intuitive Biostatistics provides a clear introduction to statistics for undergraduate and graduate students and also serves as a statistics refresher for working scientists.